Calling all FAMILY MEMBERS of a Diagnosed Celiac(s)! 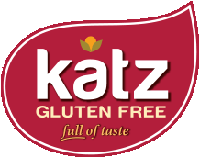 The National Foundation for Celiac Awareness (NFCA), in collaboration with Beth Israel Deaconess Medical Center in Boston, Massachusetts, are conducting research on the perceptions of celiac disease among families where a member has been medically diagnosed. This research seeks to uncover the attitudes and beliefs of at-risk family members who have not been tested for the disease. Have a biological relative (parent, sibling, aunt, uncle, grandparent or first cousin) who has been diagnosed with celiac disease. NOT have been tested for celiac disease. The telephone focus and personal interviews at STAGE One will impact and define the content of the on-line survey. To express interest in participation of: TELEPHONE FOCUS GROUPS/PERSONAL INTERVIEWS – STAGE ONE, or to refer someone potentially eligible, please email the researcher at claudia_dolphin@emerson.edu. Make sure to include an email address where you or your referral can be reached. Indicate your preference for either a focus group or personal interview (which can be done over the phone). You or your referral may be sent a short 6-item questionnaire to confirm eligibility. If you do not hear from us, you can assume that phase one has been closed. Results from the focus groups and personal interviews (Stage One) will guide the development of an on-line survey (Stage Two). – One Digital Aroma Rice Cooker from the U.S.A. Rice Federation, a $120 value. 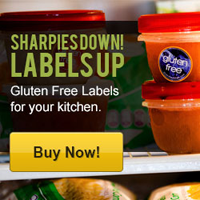 – An assortment of gluten-free products from Zatarain’s, a $30 value. Mixes include: The Jambalaya and Dirty Rice varieties, plus Spanish Rice, Long Grain and Wild Rice, Yellow Rice, Garden Vegetable Rice, Rice Pudding and more! If you know someone who might be interested in taking the survey, please email the researcher claudia_dolphin@emerson.edu. Make sure to include an email address where you or your referral can be reached. Also, indicate “survey” in the subject line. Study investigators estimate that the survey will be available in March 2012. The survey will be available for two weeks.